Riders passed by Rocky Mountain ATV//MC-KTM-WPS’s Blake Baggett in the two 450 motos combined at High Point. Baggett rounded the first lap in moto one 33rd (first-turn crash) and finished fifth; he was 26th after lap one in moto two (crash in second turn) and finished seventh. 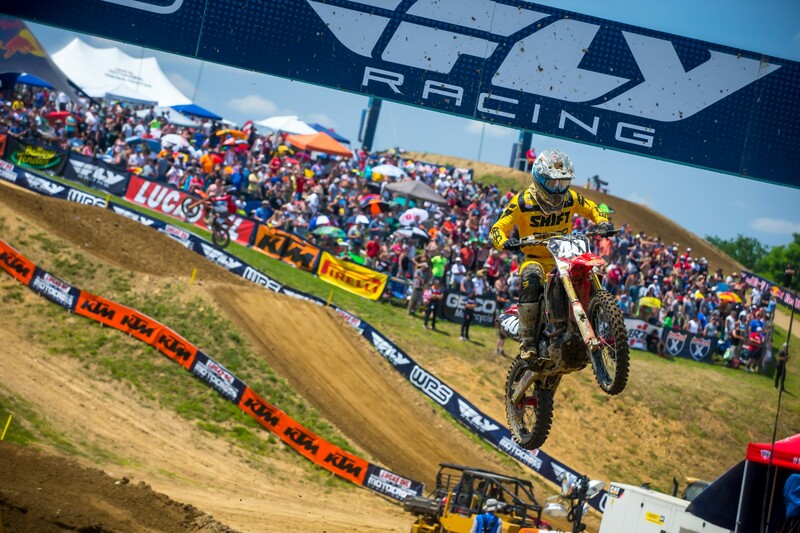 Baggett was the fastest qualifier in the 450 Class at High Point. Top-ten moto finishes by Justin Hill in his 450 debut with Autotrader/Yoshimura Suzuki at High Point. 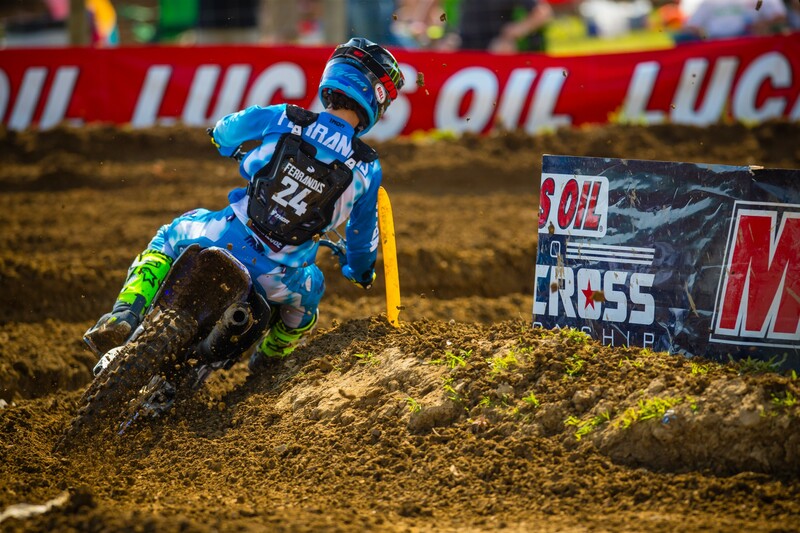 In six 250 motos prior to High Point, Hill had zero top-ten moto finishes. Laps led by Monster Energy Kawasaki’s Eli Tomac through four rounds. Marvin Musquin is second with 21 laps led. Laps led by Monster Energy/Yamalube/Star Racing Yamaha’s Aaron Plessinger through four rounds. Zach Osborne is second with 23 laps led. 1-1 finishes for Aaron Plessinger through four rounds. He was perfect at both Glen Helen and High Point. Points gained by Plessinger on Jeremy Martin at High Point after Martin DNF’d the second moto due to a mechanical issue. Plessinger entered High Point eight points behind; he left with a 20-point lead. Moto podiums by Justin Barcia through eight motos. Barcia had zero moto podiums in 2017. Margin of victory in seconds for Darryn Durham over Wil Hahn in the 125 All Star race on Saturday. The rookie visited doctors yesterday to have his knee evaluated after a crash in the first 250 moto on Saturday, according to the Monster Energy/Pro Circuit Kawasaki team. Marchbanks was running inside the top ten with two laps to go when said he got cross-rutted in the rollers and went down hard. He moved to the side of the track and was holding his left knee. He did not race the second moto. “I’m hopeful that it’s not as bad as it first felt, but we’ll have to wait and see what the doctors say this week,” Marchbanks said in a team statement. We’ll provide an update on his status when more information is known. 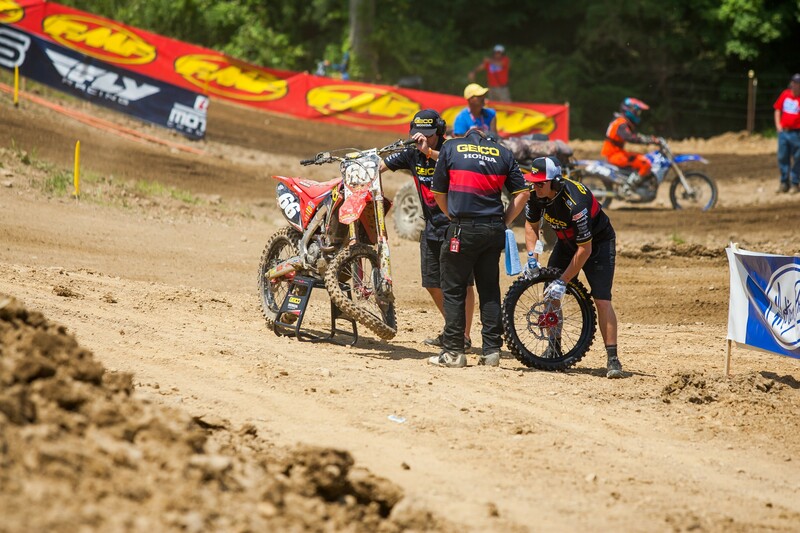 The Autotrader/Yoshimura Suzuki rookie sustained a broken collarbone in a crash in the second 250 moto. “It was the craziest track I’ve ever ridden in my entire life,” Lopes said in a team statement. “The ruts were deep and didn’t seem to end. I had a good start and was running third, but I got tight and went back to 11th. I had a crash, and then I crashed again and got my leg stuck under my bike. I had a decent start in the second moto, but I fell while going down one of the hills and had to stop. It turns out that I broke my collarbone, which is a heartbreak.” There is currently no timetable on a return. Chisholm wrote on Twitter that he had a “small crash and my leg got stuck in a rut, and I fell and tweaked my knee” in qualifying. He said the doctors at the track said it felt okay to them, but that he’d visit doctors on Monday. He was walking around on crutches during the day. We’ll provide more information once it’s known. High Point saw a number or riders return from injury, and the 2018 Lucas Oil Pro Motocross debuts of Luke Renzland and Nick Gaines of the Traders Racing Yamaha team and Heath Harrison with Phoenix Racing. In his first race since Atlanta Supercross, Ferrandis was excellent in his return. He pushed Austin Forkner all the way to the checkers in the second moto in a battle for second and finished fourth overall on the day. 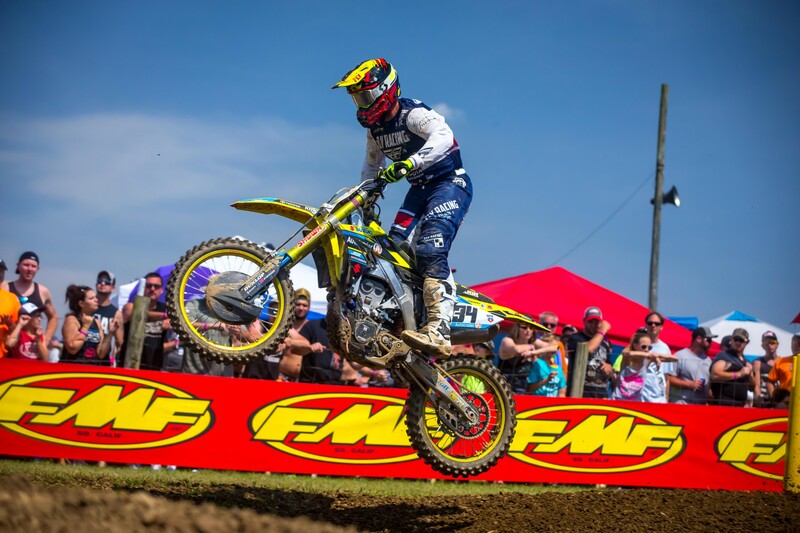 “I thought fourth overall was a good finish for his first MX race of the season. He hasn’t raced MX since Budds Creek last season, where he broke his navicular. He also hasn’t raced since the third East Coast SX race in Atlanta, where he broke his arm, jaw, and teeth. It goes without saying that he’s lacking in the racing department. That’s something difficult to work on during the week,” his coach David Vuillemin wrote for PulpMX.com. Harrison made his return after missing the first three rounds due to a shoulder injury. The Rockstar Energy Husqvarna rider went 14-14 for 15th overall. “It was an interesting day for me,” Harrison said in a team statement. “I felt off-pace. I got a good start in the first moto but faded, then didn’t get the best start in the second moto but rode strong. I have some work to do, and this was a rough track to come back to. I’m going to keep working and will step it up." The Traders Racing Yamaha team isn’t doing the entire Lucas Oil Pro Motocross Championship, so this was Renzland’s first race of the year. He was solid and finished just outside the top ten with an 11th in moto two. Combined with a 17th in moto one, he finished 14th overall in the 250 class. Gaines was also back with Traders Racing Yamaha and made his 450 debut. He went 12-19 for 13th overall. Harrison made his 2018 debut with a new team based out of Charlotte, North Carolina, called Phoenix Racing. Harrison didn’t have a great day, though, going 39-22 for 31st overall. Probably a few fantasy owners not happy right about now. 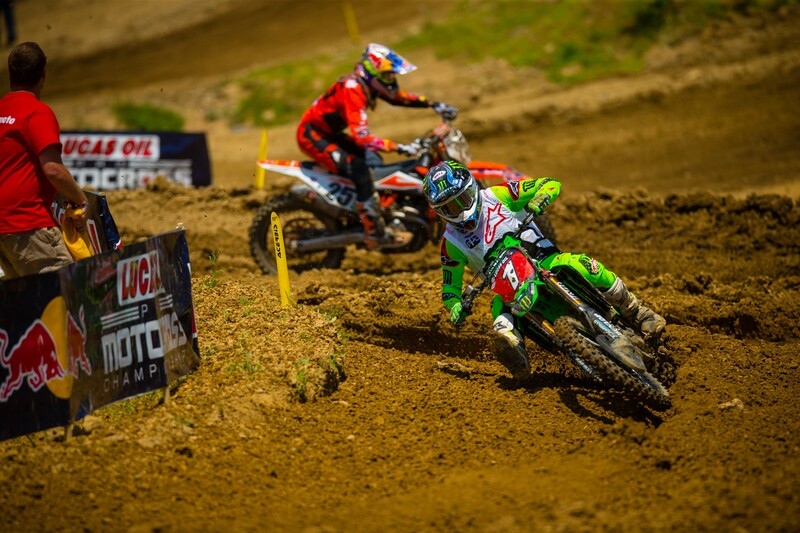 Papi, a native of Pennsylvania, made his pro debut in the 450 Class at his hometown race. He went 35-23 for 29th overall. Washington native Carson Brown is also a member of the Phoenix Racing team and made his Pro Motocross debut at High Point in the 250 Class. He finished 19th in the second moto to secure his first career points. He finished 23rd overall. This is how you celebrate a 125 win!